"Poverty is restriction and as such, it is the greatest injustice you can perpetrate upon yourself"
“It's not just the emotional, intellectual, and physical gaps between you and money. The real gap is always between what you think you want and what you actually want, deep down." Restriction shows itself in many ways, but restriction is simply anything that limits us or blocks us. We are all born into some type of restriction. These could be the limitations or restrictions inherent in a society, for example the Indian caste system or simply being born into a typical American family living in a small western farm town, like I was. Both examples have built in restrictions. In the caste system you are born into a particular caste that dictates what you can do, where you can work and who you can marry. It locks you into your tribe or caste and that’s it. In my case I was indoctrinated with strong, conservative Midwestern values. You went to school, played sports, graduated, went to college, got a degree and went to work. You were expected to settle down, marry, have children and then start the process all over again with your children. You probably had a similar experience, as I think most Americans have, at least until recently. The point is by simply being born we are thrown into a rigid, pre-structured life path. One that, because of the subtle and not so subtle programming we grow up with, locks us into a kind of pre-ordained future. All restriction manifests itself in our physical circumstances, where we currently find ourselves. In addition to the physical restrictions we are born into, there are ones we voluntarily take on, although some may argue that no one voluntarily “wants” restriction. But that is not really true. Our mind can be our biggest restrictor. It takes on certain beliefs that are not that different from the caste system. We take on a belief system that dictates what you can do, where you can go, and what your future could be. These restrictions form into what I call our Comfort Band and that’s what we adhere to. Not going below the lower limit nor higher than the upper limit. Sometimes, because of our limiting beliefs, we sabotage ourselves. I know someone who is one of the smartest men I know. He is very capable and competent. Fifteen years ago he was a multimillionaire but today he has no car, lives in a small studio apartment, and has struggled with alcohol and gambling. He has been homeless several times. Because of his belief system, his comfort band, he very capably and competently sabotages himself every time he starts going above his upper comfort band limit. He just can’t allow it. He wins $10,000.00 at blackjack, then buys a car, stays drunk and parties for a week, then drives drunk, gets in a wreck, goes to jail, loses his apartment and most of his possessions. Then after 6 months gets out and rebuilds. He has done some variation of this over and over for the past 8 years. All the while his comfort band has been getting lower and lower as he has become more comfortable with his life. His days are spent sitting on a bus traveling to required meetings, drug testing, and AA. The problem is that now that he is getting older his health is becoming an issue and his energy is dissipating. He wants a different life but he is a slave to his belief system. This is an extreme example and I sincerely hope he breaks out of this cycle but I don’t think it is uncommon. Maybe the extreme ups and downs he goes through aren't average but you can see how we do sabotage ourselves. But most of us do it in much more subtle ways. So how do you reduce or limit restriction? First- You have to be honest with yourself about where you are right now in relation to your “dreams” of where you want to be or where you thought you would be. Can you see a pattern in your life? You make good money but not really what you “think” you should make. You dream of a bigger house but continue to live where you are. You want a Porsche or Mercedes but continue to drive the car you have. This can be difficult, because as you get older the dreams you haven’t accomplished are more painful to look at. And along the way you may have developed a kind of resignation and acceptance that maybe your dreams were too unrealistic and it was not meant to be. That may well be true if you weren't really connected to those dreams but it is more than likely that you ran up against your belief system. How low will it allow you to go? How high? Can you see the pattern? Can you see how you never go too low or too high? That you stay within your band? Recognizing your Comfort Band is the first step. 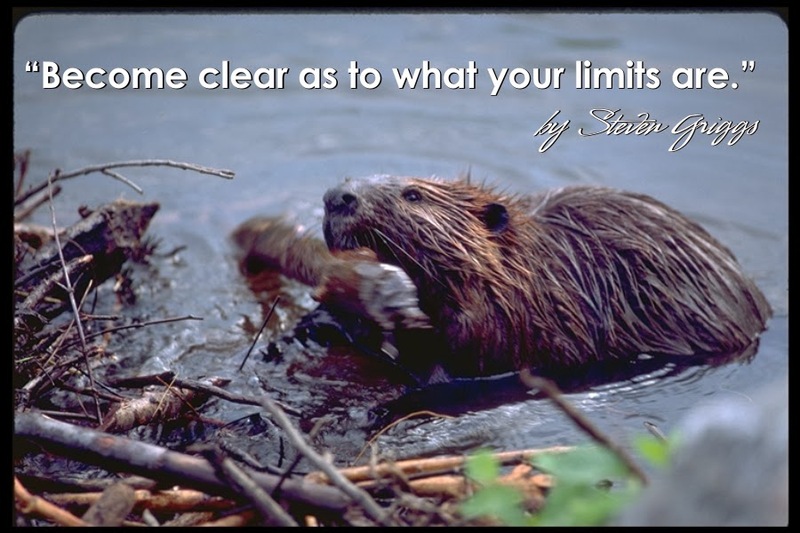 Become clear as to what your limits are. We’ll talk more about what to do in an upcoming article. Problems, problems we all have so many problems. What would you classify as a problem? I mean a real problem? Put it in the context of knowing someone who has cancer or some other deadly disease or is crippled or handicapped. Not to mention the billions of people on the planet who don’t have enough food or clean water, let alone any form of a sanitation system. Knowing this, can you still whine about your little problems or would you just keep your mouth shut? Or can you just accept your problems? Of course some problems are more difficult than others. Major life changes like the death of a family member, the loss of your job, or a divorce are events that seriously affect people. They can shut you down for a minute. But the truth is anything less than a major issue really should be called a nuisance. And why do we like to whine and complain so much anyway? Do you whine? I’ll bet if you’re honest with yourself you've been a whiner. We all have: the weather is bad today, you have to work on your day off, you aren't getting a raise this year, your plumbing is backed up, the car needs major work”….. the list is endless. But again, why do we do it? Because it validates us, it tells us we aren't the only ones with problems, there are a lot of us! You've watched a whine fest and probably been a part of one at some time. You get together and whine. Misery does love company so we tend to find other whiners. It’s a gripe session. It can be at work or with a group of friends at a party. You get in the whine groove and go for it. Everybody and everything is fair game. But what is really happening when you join the Whiner’s Club? First of all, it feels good. It feels like connection. You aren't the only one, you have co- whiners! And your ego personality loves to feel sorry for itself, it can wallow in self- pity for days on end. But really, if you stood back and watched yourself wouldn't you be horrified? It is so self -indulgent. Living in the abundance of this country, with the opportunity and gifts we have does not allow any of us to utter one peep of complaint. Second of all, if you were honest with yourself you would realize that maybe you really aren't looking for a solution because it’s much more fun to feel sorry for yourself and whine away. 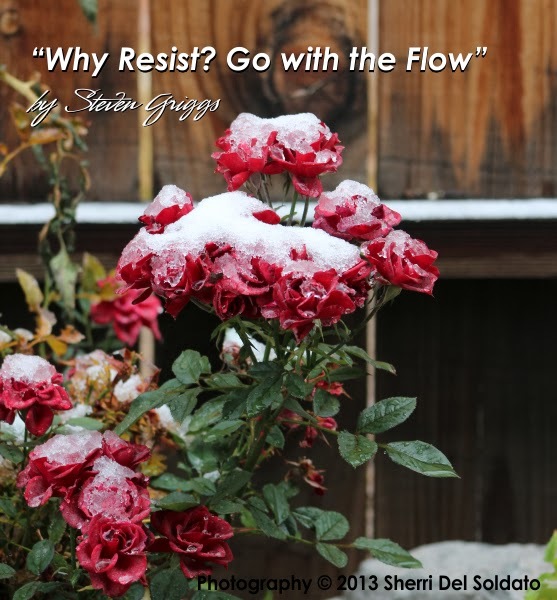 Besides if you had a solution you might have to take action and making an effort might be uncomfortable….. I think it is a process of reasserting yourself, of regaining a little bit of self- control. You need to set some ground rules for yourself. Years ago I learned the concept of staying contained, staying within your zone of control. That is a very small area, basically just your body and your mind. Commenting, trying to control, voicing opinions or complaining, are out. It means staying true to your agreement with yourself and monitoring everything that comes out of your mouth (brain). Self-censoring if you will. If your words do not add positively to the conversation, if you are going to say anything negative towards anyone or anything, don’t say it. Years ago I began instilling in my mind the words: “Never Complain, Never Explain”. This does several things. It creates a mindset of control. 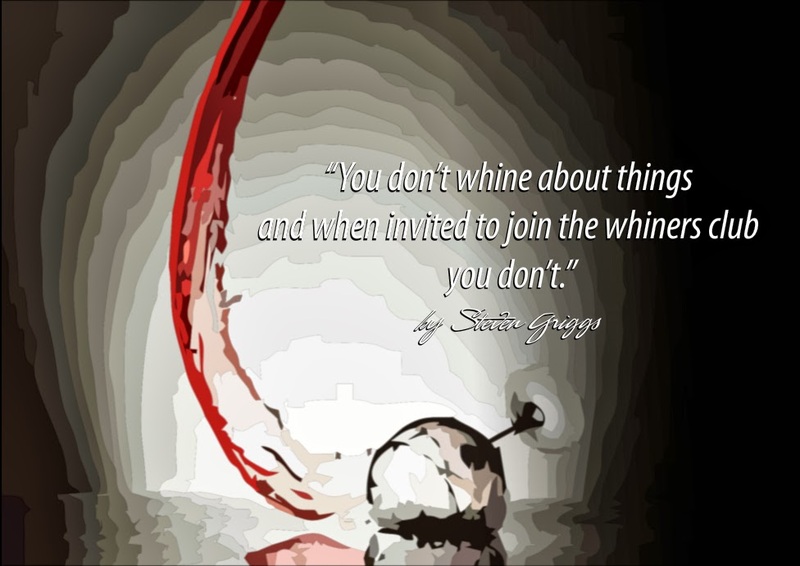 You don’t whine about things and when invited to join the whiners club you don’t. You just don’t complain. And you don't explain. Keep to yourself. Create an air of mystery about yourself. When someone at a party engages you in a conversation, join in. But if the conversation drifts into whining or complaining (or religion or politics for that matter) drift away. When someone asks you if everything is alright, you don’t respond other than to say something neutral, something positive, “Boy the food is sure great tonight. “I love the way the house is decorated”, anything other than responding to the question. Because you can’t explain it, no matter what you say, the minute you start explaining yourself to someone you’re in trouble. You see, most people won’t get it. All it will do is make you stand out and be different. You make yourself an outsider. And that’s scary for the mainstream. And really that’s what you become, an outsider. Gaining control of yourself and stepping back from the mindset of the mainstream sets you apart, and once you know, you can never go back. You become what Stuart Wilde called a "Fringe Dweller". We dwell on the fringes of society. We are in it but not of it. It takes constant vigilance. I slip off my wagon all the time, but when I do I tell myself "nope, we’re not going that way" and jump back on. So the next time you feel a whine coming on try to nip it in the bud. Or promise yourself that you will supply at least one solution to every whine you have. I’ll bet you eventually stop whining altogether because, really, what is there to complain about? I think we’ve all experienced it. It happens when you either can’t start something or you can’t finish it. But what is happening? Some call it procrastination but procrastination is really the symptom of this effect. What is it that makes us unable to proceed? It is the fear of being imperfect, of being ridiculed or judged. Once we create something, be it an article, a blog or piece of art and we put it out there to be read and seen, we become vulnerable. Now we can be hurt. It is a common thing for many artists and writers to reach a point where they can’t complete the project. They have to keep reviewing, rechecking and reediting and touching up. It can get way out of hand. I have done this many times myself with my writing and art. One time I had the same picture sit on my easel for over a year. It was a water color of a broken wine bottle and I was at the crucial stage of completing the puddles of red wine on the floor and I couldn’t do it. The picture was great up to that point but I was afraid I would ruin it. Ruin it? This is an interesting idea because how could I ruin a painting I created? Whatever I created is my creation, right? I painted it this way and that’s what it is, period. Well it didn’t feel that way. And that was when I started realizing that I was fearful. I had a fear (limiting belief ) about not being good enough. This is a paralyzing aspect of the limiting belief of poor or low self-esteem. 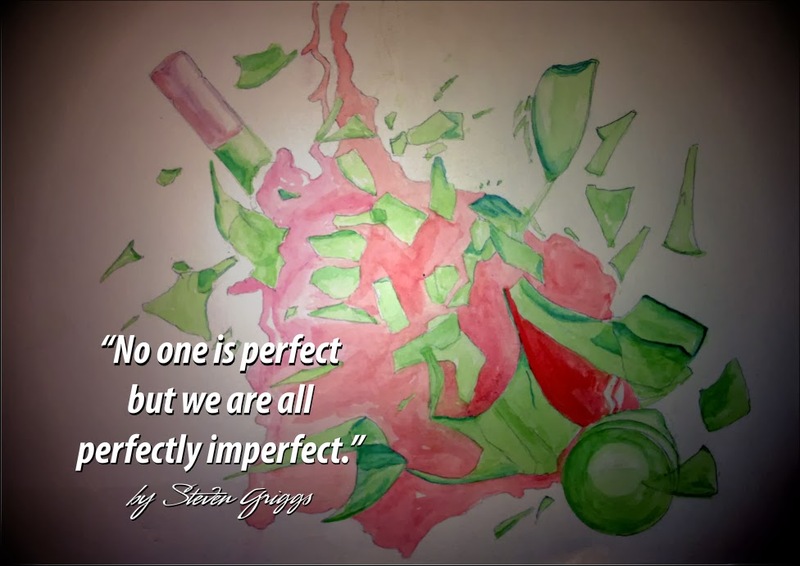 There really is no such thing as perfection and if you are striving for perfection, who is the judge? Who is judging you? Who do you have to be perfect for? Many ancient artisans including the American Indians would purposely make a mistake in a thing they were creating. Indian women when beading a garment or bag would put a bead of the wrong color in the item to make it imperfect. It wasn’t always very obvious but once you found it you knew it was done on purpose. They believed that only the Great Spirit could be perfect and that any human trying to be perfect would be considered arrogant and insulting. And you don’t want to mess around with the Great Spirit. But I think they were on to something. They were making the statement that they were less than perfect. They were imperfect. And that’s what we are. No one is perfect but we are all perfectly imperfect. Each one of us is unique. We are each one of a kind. We don’t look the same, we don’t do things the same way. We each create our own project, product or artwork our way. We create it like no one else. I have read that some artists and writers reach a point where they are about 80% done but at that point consider the project basically completed. In other words they know the project is done except for maybe the final chapter or some last minute touch ups or fill-ins on the painting. They understand that every project reaches a point when it is done. They can’t add one more word or brush stroke to it. It is done and it’s time to let it go. It’s time to move on to the next project. So how do we deal with the limiting belief inside that holds us back by seeking perfection, which keeps us from completing our work and moving on to the next project? If you are a creator, you have to create. If you have to stop because you fear criticism, then stop. Don’t create. Wait until it feels right. But a funny aspect of this is that probably a major reason we create is because we feel inadequate in some way. We might get some of our creative energy from the very belief that tries to hold us back. We can’t have it both ways. You can’t derive your creativity from a source and then worry about what that source might say about what you've created? The answer is you have to create and then let it go. You have to be willing to show yourself to the world. So next time you feel hesitant about putting it out there, just do it. Force yourself to take the leap and say: “This is me. This is what I created. I want you to like it and get something from it but I’m only here for a short while and I've got a lot of stuff to do”.Take it or leave it because I don't have time to care. If you fear a critic, have him bring his writings and his art and then you two can sit down and have a talk. You won't have to worry about that because a real creator doesn't criticize another artist. Your fellow creators know what it's like, they have been through the same struggles as you so you have nothing to fear from them. The ones that love you and love your work, they are the ones to care about. That leaves everyone else and they don't get a vote.